Learn to knit! Scrapbook as you go! 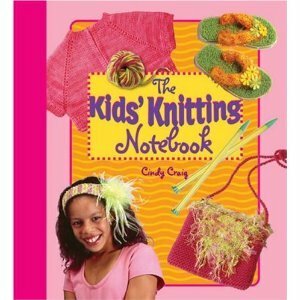 It's a knitting manual and a journal all in one, designed especially for kids! Using an array of patterns they will love and instructions they will understand, this notebook introduces the wonderful craft of knitting, and also gives plenty of space to attach swatches, pictures, and notes. It even includes check-off boxes so readers can mark what they have completed. What a fun way for them to scrapbook and track their progress! Beginning with the basics: yarn, needles, and other gadgets - the guide moves on to a sequence of fabulous projects that build logically on one another. There are tank tops, customized flip flops, headbands, legwarmers, and cashmere cuffs, plus accessories, including an MP3 player holster. Clear, colorful shots of finished projects and how-to illustrations make learning easy.